UC Regents recently approved a new corporate entity that will likely give a group of well-connected businesspeople control over how academic research is used. Regents Chairwoman Sherry Lansing called Newco at UCLA a pilot program for the entire UC system. This article won an investigative journalism award in the print/small newspaper division for publications with a circulation of less than 100,000 from the Society of Professional Journalists, Northern California Chapter. This article also won third-place in the business/technology story category in the 37th Annual Greater Bay Area Journalism Awards in the non-daily print division. In a unanimous vote last month, the Regents of the University of California created a corporate entity that, if spread to all UC campuses as some regents envision, promises to further privatize scientific research produced by taxpayer-funded laboratories. The entity, named Newco for the time being, also would block a substantial amount of UC research from being accessible to the public, and could reap big profits for corporations and investors that have ties to the well-connected businesspeople who will manage it. Despite the sweeping changes the program portends for UC, the regents' vote received virtually no press coverage. UC plans to first implement Newco at UCLA and its medical centers, but some regents, along with influential business leaders across the state, want similar entities installed at Berkeley, Davis, Santa Cruz, and other campuses. 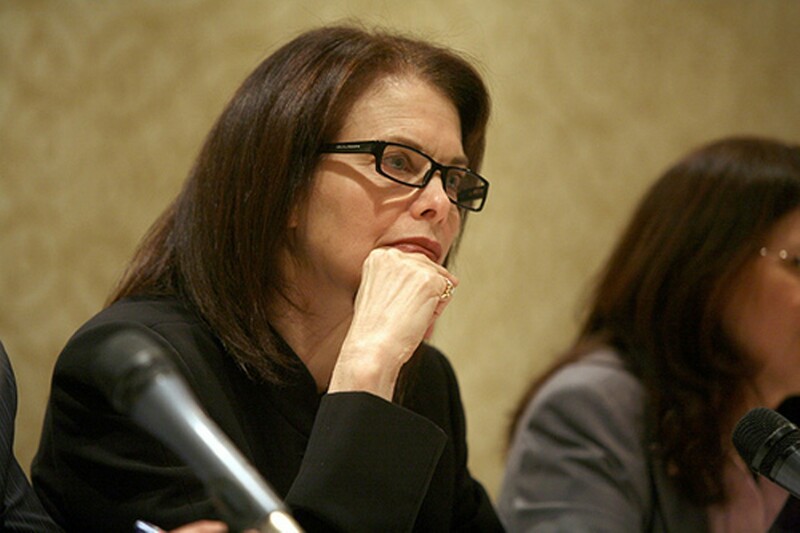 UC Regents Chairwoman Sherry Lansing called Newco at UCLA a "pilot program" for the entire UC system. The purpose of Newco is to completely revamp how scientific discoveries made in UC laboratories — from new treatments for cancer to apps for smartphones — come to be used by the public. Traditionally, UC campuses have used their own technology transfer offices to make these decisions. But under Newco, decisions about the fate of academic research will be taken away from university employees and faculty, and put in the hands of a powerful board of businesspeople who will be separate from the university. This nonprofit board will decide which UC inventions to patent and how to structure licensing deals with private industry. It also will have control over how to spend public funds on these activities. Newco's proponents contend that the 501(c) 3 entity will bring much-needed private-sector experience to the task of commercializing university inventions. Ultimately, it will generate more patents, and thus bigger revenues for UC through licensing deals and equity stakes in startups, they claim. UC administrators also say they have established sufficient safeguards for Newco and that UCLA's chancellor and the regents will have oversight over the entity. But if last month's regents meeting in Sacramento is any indication, UC oversight of Newco may be less than robust. Several regents, in fact, objected to creating an oversight committee that would keep tabs on the new entity. The debate over the issue concluded after Regent Norman Pattiz suggested that "it shouldn't be called the Regents Oversight Committee. It should be called the Regents'-Encouragement-and-Finding-You-the-Dough Committee." Critics of Newco say the scheme won't work, and that it will lessen transparency in UC research while undermining the public mission of the university. Putting a board of businesspeople in charge of the university's tech transfer operation also will create conditions ripe for cronyism, they fear. In fact, that may already be the case. Records show that wealthy investors and influential businessmen with close ties to UCLA and one of the UC Regents — Alan C. Mendelson — are financially invested in companies that currently license university-owned patents under exclusive financial arrangements. Mendelson, who also is a trustee for the UC Berkeley Foundation and has investments of his own in businesses that profit from university-produced research, was one of the main backers of the Newco proposal and cast a vote in favor of it. The Newco program also could benefit companies like the ones Mendelson and his network of friends and investors own and work for. Many of the UC Regents are also close friends of investors who want greater access to university inventions under more favorable terms, and who want the university to subsidize early-stage business expenses and take financial risks by investing in technology startups. And under Newco, they may be able to get exactly what they want. "It appears that the university is turning research policy over to a private group of businesspeople, and they'll control the decisions of campus officials who are required to work for the public interest," said Christopher Newfield, a professor at UC Santa Barbara who conducted campus-sponsored studies of a range of tech transfer policies at UCSB early last decade, and has sat on several technology transfer policy committees. Newco is the latest expression of a belief that the university's research policy should be evaluated by measuring patents and revenues, said Newfield. He believes that basic research is central to the university's public purposes, and that changes toward a more proprietary and privatized model will harm both science and society. "After WWII, policymakers assumed that government-funded research did not need to depend primarily on for-profit commercialization in order to get out to the public; there wasn't the sense that patenting inventions and getting revenue streams off them was the main goal of the university-society interface," Newfield noted. "A famous example was Jonas Salk's polio vaccine, which he did not patent: 100 million doses were administered in the US in the two years following the successful clinical trial." University policies changed in the 1970s as several universities patented lucrative inventions and earned millions in revenue. Even though these paydays were rare and only occurred at a handful of elite research institutions that got lucky from a tiny fraction of the total inventions their faculty were producing, many schools wanted to duplicate this luck. When Congress enacted the Bayh-Dole Act in 1980, which concerned patent and trademark law, university administrators quickly interpreted it as giving schools ownership of the federally funded research conducted on their campuses. The race was off. Hundreds of schools set up tech transfer offices in an attempt to profit from inventions. Universities instituted policies claiming institutional ownership of all inventions created by faculty and graduate students, and many tech transfer offices began to choke back the supply of knowledge flowing from the university into society — all in hopes that the university could claim ownership of one of the rare "home run" inventions, as many in the tech transfer field call them, that generate millions in revenue. Gerald Barnett, who ran tech transfer operations at the University of Washington and at UC Santa Cruz, and today is the director of the Research Technology Enterprise Initiative, an independent organization that consults with research institutions, said Newco represents a way for private business interests to try to game the university. "If you're working for the public good you don't have to take ownership of everything," he said of the research discoveries made at university campuses. "You don't have to have a large number of employees [at tech transfer offices], and you only have to do few transactions a year [licensing to private companies]. "At the University of Washington, when I was there, we had five employees in my licensing unit, and we brought in three to six million a year across a range of projects," Barnett added. He said that University of Washington administrators, however, created an independent organization with a similar focus as Newco to manage the university's inventions under the watch of business interests. "UW has put $100 million over five years into their 'Center for Commercialization' with great ballyhoo about how industry and businesspeople would cut through all the red tape and delays," he said. "Turns out that those industry people are doing a lot worse than the program they dismantled." Barnett predicts the same for UC's Newco. "The problem is that you're taking out of circulation a vast amount of public domain knowledge and other stuff, and holding it hostage, making it less likely that any of these inventions will make money because you're focusing on exclusive licenses," he said. What's better for the public and the broader economy, said Barnett, is a system in which most university inventions and knowledge quickly flows into the public domain, or is swiftly made available through non-commercial means. A relatively small number of university inventions that benefit from patent positions might be licensed out, Barnett said. But he's skeptical of the obsession with exclusive patent agreements with corporations. The idea of putting university technology transfer under the control of a board of business leaders grows out of recent experiences at a handful of elite universities in which just a dozen or so technologies created in publicly funded labs have blossomed into multimillion-dollar properties. Many university administrators, nonetheless, have come to see these relatively rare successes as potentially lucrative revenue streams to replace increasingly scarce public funding. And now many businesspeople and private investors see the university as a vast social factory from which they can extract valuable property — especially if the university is pliant and agrees to exclusive deals. UCLA offers a prime example. In the early 1990s, federally funded experimental cancer treatments devised by doctors at the UCLA David Geffen School of Medicine were yielding promising results. Using genetically altered mice with cancerous human tumors grafted into them, scientists were developing research they hoped would eventually treat cancers using specially designed protein antibodies. 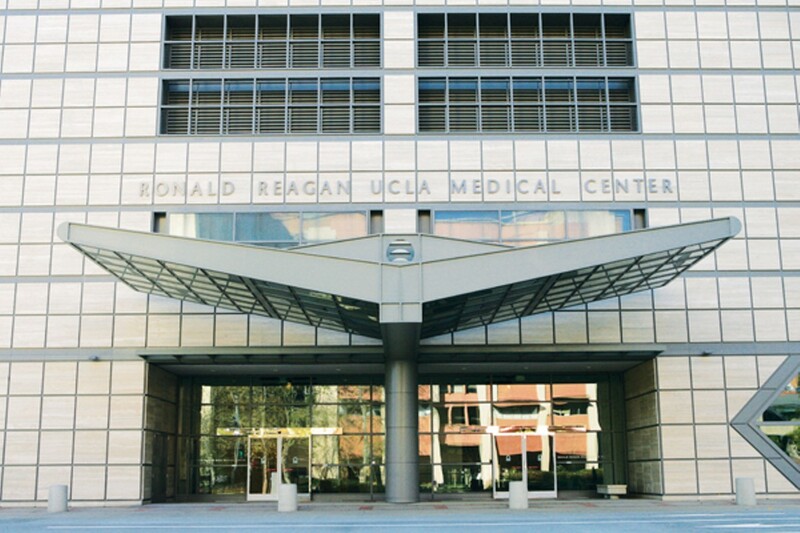 In 1996, several UCLA doctors took the research private in order to quickly commercialize the treatments. They founded Urogensys, which was later renamed Agensys. Agensys struck a deal with UCLA to exclusively license some of the school's patented technologies on which the cancer therapies were based. Over the next decade and a half, Agensys filed for 156 patents on these cancer treatments, all based on fundamental research done at UCLA with federal research grants. In 2007, the Japanese pharmaceutical giant Astellas bought Agensys for $537 million, making it one of the most valuable university spin-off companies in history. Agensys' deal with UCLA was unique in that the school reportedly had some equity stake in the company. The university has never disclosed the financial terms of the deal, however, so just what benefit there was to UCLA isn't clear. Some say the university benefited greatly, while others claim it was actually short-changed and that Agensys' private investors were given a favorable deal because they were big donors to UC. What is clear is that the biggest moneymaker in the Agensys deal was a small network of investors who earned millions. These investors included UCLA professor Arie Belldegrun, a doctor who has created and advised numerous biotechnology companies over his career. 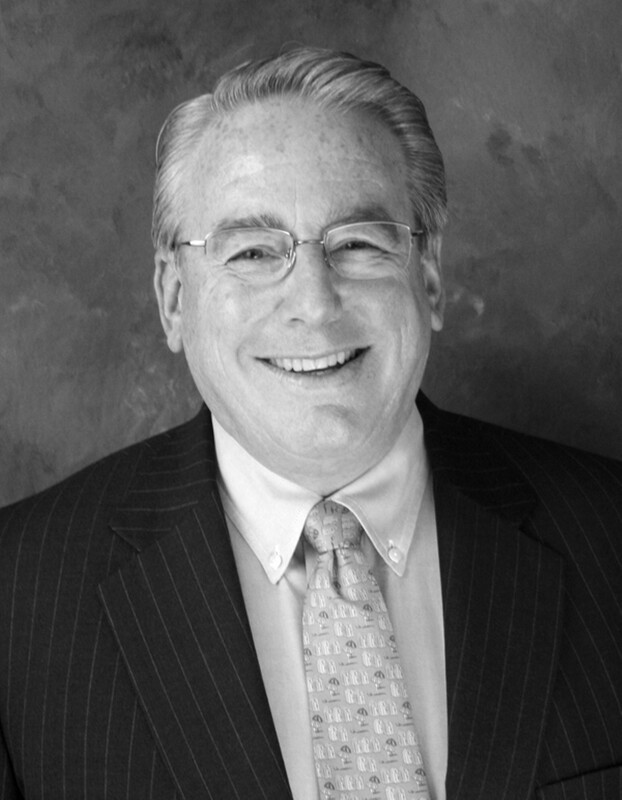 Roy Doumani, a wealthy Los Angeles banking and real estate investor, and friend of Belldegrun, was also part of Agensys. 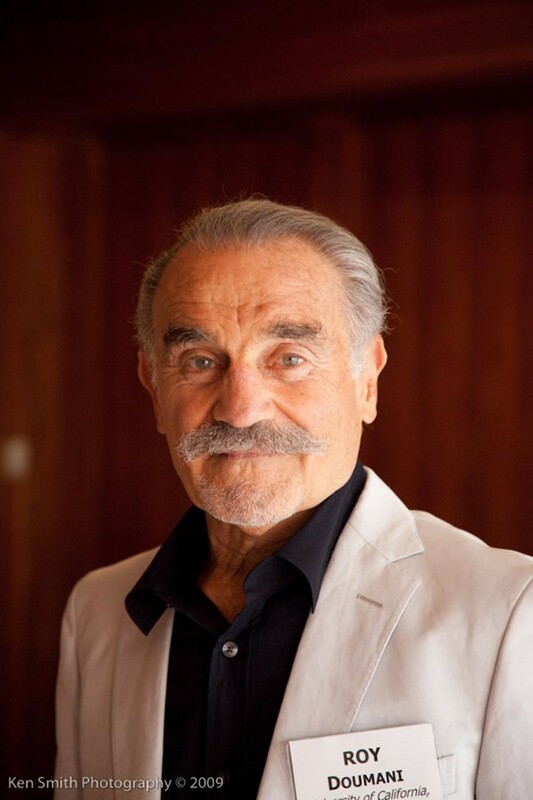 Doumani has been a major UCLA donor for several decades. In 1989, he gave UCLA a $7 million oceanfront house in Venice Beach. 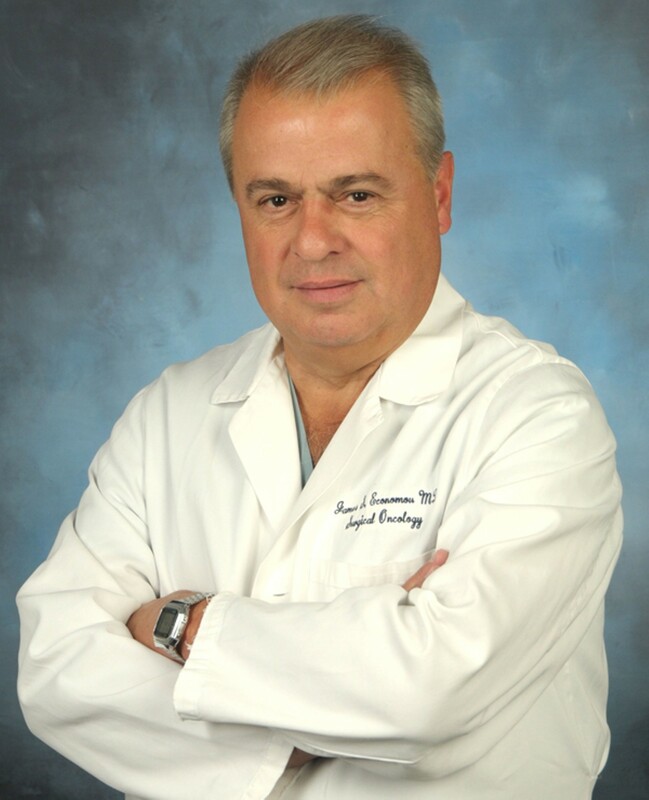 One of his more recent gifts to the school was an endowed chair in urologic oncology. This prestigious faculty post is currently occupied by Belldegrun. Although he has no scientific background, Doumani recently became a UCLA faculty member by joining the Department of Molecular and Medical Pharmacology to teach the "business of science." Advising Agensys in its dealings with the university was Alan C. Mendelson, a veteran biotechnology lawyer who works in the Menlo Park offices of the Latham Watkins law firm. Mendelson is also a wealthy donor to UC; he became a UC Regent in July of 2012 after a two-year stint as president of the Cal Alumni Association and a one-year term as treasurer of the UC Alumni Association. Belldegrun, Doumani, and Mendelson are members of a tight-knit network of investors who have made millions by forming startup biotech companies, licensing university-developed technologies, and then selling the companies to bigger corporations for enormous profits. Newco would effectively impose the model this group of investors has established over the past decade on all of UCLA's tech transfer activities, and Mendelson has pointed to Agensys as Exhibit A as to why this will benefit the university. In 1980, Alan Mendelson, then a junior lawyer at the Silicon Valley office of Cooley Godward, was assigned an otherwise obscure and small corporate client: Applied Molecular Genetics. That company later became the $76 billion biotech giant known today as Amgen. Mendelson's role as Amgen's legal counsel put him at the center of California's booming biotechnology industry, connecting him to hundreds of venture capitalists and university scientists. Throughout the 1990s and 2000s, Mendelson represented and served on the boards of numerous small and large companies developing medical technologies. Many of these companies were started and funded by the same entrepreneurs and investors. Along the way, Mendelson also invested in many of these companies, becoming wealthy in the process. Most of the corporations Mendelson worked with relied on technology licensed from universities. This placed Mendelson firmly on the side of private businesses in their often-contentious negotiations with university tech transfer offices over patent rights, royalties, milestone payments, and equity stakes. Private companies often seek exclusive rights and to lower royalty payments to the university. Sometimes investors want universities to take equity stakes because these are, in effect, public subsidies to highly speculative companies at their seed stage, when no private investor is willing to invest. In addition to working as Kythera's lawyer, Mendelson was an investor in the company. According to records filed with the US Securities and Exchange Commission on May 17, 2012, Mendelson advised Kythera in a public stock offering that netted about $86 million. The disclosure filing noted that Mendelson owned 13,000 shares of Kythera at the time. Mendelson's investments were through a family trust, and through VP Company Investments 2008, LLC, a Delaware-registered corporation that partners of the Latham Watkins law firm use as a co-investment vehicle. Mendelson was still a stockowner in Kythera when he became a UC Regent in July of last year. Mendelson also represents and owns stock in Singulex, Inc., another corporation that licenses technology from UC. Singulex's offices and labs are in Alameda. In a filing with the SEC last year, Singulex's executives wrote, "our business is dependent on our exclusive license from the Regents of the University of California," and warned prospective investors that "termination of this license could negatively impact our market position." As of September 2012, Mendelson owned 34,004 shares of Singulex through his family's trust. He also owned a portion of another 34,004 shares, along with partners of the Latham Watkins law firm, held by VP Company Investments 2008, LLC. As a regent-designate since 2011, and as a full voting member of the UC Regents since July 2012, Mendelson participated in the regents' special Working Group on Technology Transfer, an ad hoc committee of the board that was tasked with studying system-wide tech transfer policies. One of this working group's recommendations was "establishing separate institutional structures with funding and mandate to invest in UC start-ups." The regents' Working Group on Technology Transfer also took the lead in advocating for the establishment of Newco. At last month's regents meeting, during the discussion preceding the vote to establish Newco, Mendelson recounted his version of the Agensys story. "As some of you may have heard, a mutual friend of chairman Lansing and mine, Dr. Arie Belldegrun at UCLA, he and a number of faculty members started a company. It was called Agensys. It was sold ultimately for $500 million dollars and the university benefitted greatly." But according to Mendelson's version of events, UC didn't benefit much from the terms of the licensing agreement, but instead from the "largesse" of the university's private investors. Mendelson said UC was rewarded "not so much by the royalty revenues, because I don't think even now they have products approved, but it was in terms of some of the investors who are UCLA donors giving back. Once they got the largesse, if you will, from the sale of the company, they gave back significant amounts of money to UCLA." It's unclear whether Mendelson has economic stakes in other companies — besides Kythera and Singulex — that license UC technology or otherwise use university resources. Mendelson did not respond to a request for comment for this story, and when I asked the University of California Office of the President for a copy of Mendelson's Form 700 (a detailed disclosure of personal economic interest required of the UC Regents and many UC administrators), a representative from UCOP responded that Mendelson did not have one on file, and that his annual report was late. I obtained a copy of Mendelson's Form 700 that he filed in August of 2012 with the California Fair Political Practice Commission. The FPPC also confirmed that Mendelson's annual filing, which was due April 2, is late. Mendelson's August 2012 disclosure showed that he had direct investments in nine biotechnology companies, including Kythera and Singulex, as well as stock in eighteen different venture capital funds with a total value hovering somewhere between $1 and $10 million (the disclosure forms do not require him to be more specific). In addition, most of his investment funds are focused in biotech companies, giving him indirect financial stakes in perhaps dozens of biotechnology corporations. 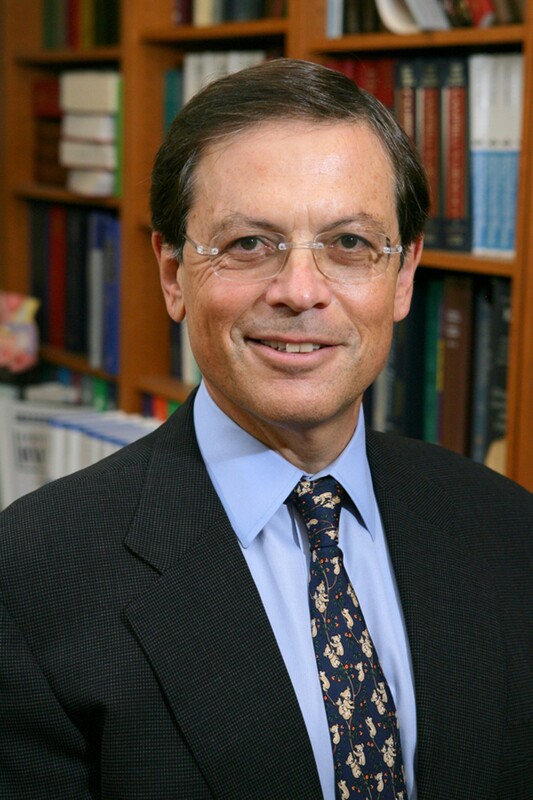 The most vocal advocate for Newco at UCLA has been James Economou, the campus vice chancellor of research and a doctor at UCLA Medical Center who holds a faculty appointment in UCLA's Department of Molecular and Medical Pharmacology. In several presentations to the regents, Economou has stressed that a Newco-type entity would patent greater numbers of faculty inventions and create more financial deals with the private sector, and that the university would benefit from the revenues and wealth this generates. "The process of patenting inventions involves hard-nosed business decisions. The university needs businesspeople with many years of experience to make decisions on what are risky investments," Economou told the UC regents at a meeting last year concerning tech transfer, according to the official minutes of the meeting. "The board must be an independent board of directors, reputable individuals with experience in the business of science who would serve the university without pay." 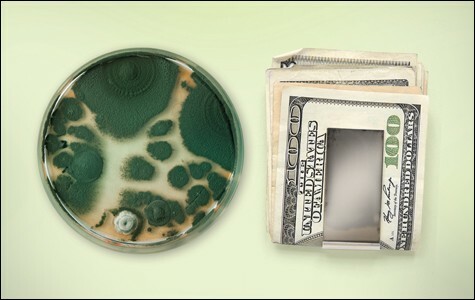 "The business of science" is the same phrase used by Doumani — the wealthy banking and real estate investor — to describe what he teaches as a faculty member of UCLA's Department of Molecular and Medical Pharmacology as well. Doumani, in fact, runs an entire center now on UCLA's campus called the "Business of Science Center," and the center is sponsored by the Astellas USA Foundation, a grant-making organization set up by the Japanese pharmaceutical giant that bought Agensys in 2007. "There's a sense that we have outdated models of entrepreneurship," Economou told the regents last month. "We lack real-world-business experience and should empower business professionals in the decision-making process." Several years ago, Economou asked William Ouchi, a professor at the UCLA Anderson School of Business who specializes in "corporate renewal," to study the school's tech transfer policies. In one of his more famous consulting gigs earlier in his career, Ouchi agreed to help Mendelson's client Amgen reform the company's drug development process, according to a 1994 Los Angeles Times report. For UCLA, Ouchi eventually produced a series of reports titled, "Ecosystem for Entrepreneurs." Ouchi's reports criticized UCLA's tech transfer record as generating a "low financial yield," well below UC Berkeley's, Stanford's, and MIT's. Ouchi endorsed the Newco idea to fix this perceived problem. He recommended that a Newco-type entity be capable of raising external funds in the range of $50 million to $100 million in order to invest in patents of university inventions; partner with and possibly invest in companies, many of them owned and led by faculty; and to cover patent prosecutions. The biggest expense in patenting inventions under a model like Newco involves monitoring intellectual property holdings and hiring lawyers to aggressively go after any company or other party that violates a patent by using the invention without a license or other agreement. Legal expenses can typically run into the millions of dollars. I asked professor Ouchi who he consulted with at UCLA to produce his reports, including the recommendation to establish a Newco-type entity that would raise private funds. "I prefer not to draw attention to it at this point, because it has just been approved by The Regents and is not actually in operation yet," Ouchi replied in an email. "Lots of people at UCLA and at UC participated in the design of Newco — it was definitely the product of a very large team." Whether Newco will use university funds or external funds to fund private corporations and defend patents licensed by private companies remains unclear. The resolution passed by the regents to create the entity allows it to raise private money, but these funds must be held in UCLA accounts, one of the safeguards built into the Newco structure. UCLA Vice Chancellor Economou declined an interview request for this article, referring questions to Brenden Rauw, UCLA's recently hired associate vice chancellor and executive director of entrepreneurship. Rauw was recruited from Columbia University last year specifically to oversee UCLA's transition into a more proprietary model of tech transfer under Newco. Rauw passed my inquiries to a media relations person who did not provide answers to basic questions about Newco before press time. Belldegrun and Doumani also did not respond to interview requests for this story. Like Mendelson, Belldegrun, Doumani, and other proponents of the Newco model, Economou is linked to private companies that are already commercializing UCLA technologies. Economou is listed as a scientific advisor to Kite Pharma, a small biotech company. It's not clear if Kite pays Economou. Kite Pharma's board of directors also includes Belldegrun and Doumani, who are also investors in the company. "We tell our faculty that we want them to have as many potential conflicts of interest as possible," Economou told the regents last month. "We have a process for helping to identify them, and to manage them, and to create transparency, and give them guidelines, so instead of telling our faculty 'you can't do this, and you can't do that,' we encourage them to create startups, we encourage them to file patent disclosures." Kite Pharma is just one of several biotechnology companies controlled by Belldegrun and other UCLA-connected investors. For example, also on the board of Kite Pharma is Steven Ruchefsky, a New York hedge fund manager. Ruchefsky is also an investor in Arno Therapeutics, a biotech company located in New Jersey that develops drugs based on exclusive licensing agreements with Ohio State University and the University of Pittsburgh. Mendelson also is an investor in Arno Therapeutics, as is Belldegrun. Belldegrun was, in fact, one of the largest shareholders in Arno Therapeutics as of December 2012, holding 1.3 million shares, according to a registration statement filed with the SEC. Much of Belldegrun's stock in Arno was held in an offshore trust administered by the Leumi Overseas Trust Corporation on the Island of Jersey, a jurisdiction off the northern coast of France that the Organization for Economic Cooperation and Development has described as a tax haven. Another investor in Arno is David Tanen, a venture capitalist who runs Two River, a merchant bank that focuses on life sciences companies. Belldegrun is the chairman and a partner of the bank. CTI Molecular Imaging, another company with roots in UCLA's Medical School and Department of Molecular and Medical Pharmacology, was provided research services by UCLA professors Michael Phelps and James Heath. As part of three separate agreements in 1994, 2000, and 2001, UCLA granted CTI exclusive rights to any inventions generated by university staff and gave the company an interest in any revenues generated from technologies that might be licensed to third parties. Phelps and Heath also were directors of CTI. Doumani was an investor in the company. The Siemens corporation bought CTI for $1 billion in 2005. Today, professors Phelps and Heath, who both hold appointments in UCLA's Department of Molecular and Medical Pharmacology, run a private business advisory group called Momentum Biosciences. Doumani is on the board of directors of Momentum, as is Michael Shockro, a lawyer and colleague of Mendelson at the Latham Watkins law firm. Like Doumani, Shockro also holds a faculty appointment in UCLA's Department of Pharmacology to teach courses in the "business of science." The web of companies and investors linking Belldegrun, Mendelson, Doumani and other proponents of the Newco model of tech transfer is complex, but it all swirls around biotech products being developed from inventions licensed largely from universities. Belldegrun's role in numerous biotech companies with links to UCLA and beyond is perhaps why his name was mentioned numerous times, in tones of admiration and awe, by several of the regents during their May meeting as they excitedly discussed Newco. Some of the regents would like to institute a powerful business entity like Newco at UC Berkeley. Regent Richard Blum, the husband of US Senator Dianne Feinstein, called Berkeley's tech transfer office "an absolute disaster" at the last regents meeting. To back this up, Blum related a story about an invention developed by a faculty member affiliated with the Blum Center for Developing Economies, an institute he created through a large private gift to the university. "We went to the center [Berkeley's tech transfer office] to license this thing, and they said, 'Well we don't want to license it, we don't want to put the money up to get the patents, and we don't think it's worth it.' I said, 'Okay, that's fine, I'll put up the money, and not for me personally, I'll put up the money for the [Blum] center to get it.'" According to Blum, Berkeley's tech transfer office staff bungled the invention's transfer to private industry and the faculty inventor was excluded from further participation. "Next thing I know is this group takes this project, doesn't tell us what they're doing with it, licenses this to somebody, and won't even tell us who they licensed to develop the product." A basic web search shows, however, that Blum got much of this story wrong. The invention in question, a hardware and app combination that turns a smartphone into a mobile microscope called the Cellscope, has, in fact, been commercialized, and the inventor, Daniel Fletcher, a professor of bioengineering at UC Berkeley and a faculty scientist at Lawrence Berkeley National Laboratory, is still very involved in the project. Berkeley, furthermore, consistently ranks among the top universities in terms of the number of inventions it generates. Many of those inventions generate no revenue for the campus, but they are used by industry, governments, and nonprofits to solve problems and develop new products, and a small number of inventions earn millions each year, qualifying the campus' tech transfer activities as the opposite of a disaster. Tech transfer offices at the different UC campuses are currently able to do all the things that Newco will be able do at UCLA, from inking complex licensing agreements and industry research partnerships to investing equity in startups. The only difference is they aren't taking orders directly from a board of businesspeople and investors. For example, according to Berkeley's Office of Intellectual Property and Industry Research Alliances, the school can take equity stakes of up to 10 percent in a company licensing its inventions. Berkeley has created about 150 companies specifically to commercialize technologies developed on the campus, and the school has equity stakes in roughly 30 of these. Berkeley has also created the largest industry research alliances in the nation, including the much-criticized deal with BP that many say was a corporate raid on the school's intellectual property. But even staffers at Berkeley are wary of the degree of privatization and industry dominance that Newco seems to represent. I asked Graham Fleming, Berkeley's vice chancellor for research, if the school had plans to institute a Newco-type entity to control tech transfer. "We are not currently considering a similar set-up to manage our technology transfer," he said. "We are very interested in exploring new and innovative ways to facilitate the translation of our research breakthroughs into goods and services that benefit the public. At the same time we are also well aware that we need to do that in a manner consistent with our values and public character." Newfield of UC Santa Barbara said that Berkeley and UCLA currently have "different visions" when it comes to tech transfer. "The contrast is between a narrow revenue goal for commercializing science and a public interest goal for getting science into the world," he said. The irony of something like Newco, he continued, is that managing university research to maximize patenting and corporate startups doesn't even appear to increase revenues for the university. "If UCLA doesn't seem successful enough right now as a science business, it's not because they don't think about business enough or have shut out entrepreneurs. They've been focused on the business side for at least twenty years." Carol Mimura, UC Berkeley's assistant vice chancellor in charge of tech transfer, is a well-known champion of making technologies more widely available through a public-interest model and has published numerous papers on the subject. Berkeley's tech transfer office is known for inserting "humanitarian use terms" in licensing agreements with companies. In April of this year, Berkeley won the US Patent Office's prestigious Patents for Humanity Award for developing and licensing an anti-malarial drug at low cost so that it can be distributed in regions of the world that are most afflicted by the disease, but are least able to afford pharmaceuticals. Barnett, the former head of the University of Washington and UC Santa Cruz tech transfer offices, believes the whole model of a university holding a maximum number of patents with the intention of exclusively licensing them in hopes of a big payout is flawed. Barnett instead recommends that universities include in their innovation practice something more like a technological commons. "Universities have an important role, and that is to manage IP [intellectual property] to develop commons and standards and platforms — to coordinate research and to ensure broad access," he said. "They should hold most of their patents for non-exclusive licensing." Barnett added that some of the most lucrative patents have been biotech tools that were licensed non-exclusively, like the Cohen Boyer patents. Applied for in 1974 by Stanford University, and granted by the US Patent Office in 1980, the Cohen Boyer patents covered one of the most fundamental methods used across the entire biotechnology industry today: gene cloning. Stanford purposefully licensed the patents non-exclusively to 468 companies. These companies went on to create more than 2,400 products and billions in sales. The non-exclusive license upset powerful Silicon Valley biotech companies — including Genentech — that wanted to monopolize the method through exclusive licenses for greater profits. Cohen Boyer also reserved the rights of other universities to practice the patented methods without charge. The main reason Cohen Boyer was set up this way, said Barnett, is because faculty and the university, not businesspeople, were driving the process and making the decisions. Mendelson, Belldegrun, and Doumani did not respond to requests for interviews for this story, and Shockro of Mendelson's law firm and several other members of the UC Board of Regents did not respond to inquiries about their current and past links to various companies that license UC technology and their participation in the creation of Newco. A UC spokesperson, who appears to have been forwarded emails from me to Mendelson via his law firm, responded: "As an alumni regent, Alan Mendelson is about to complete a two-year term that included one year as a voting member of the Board of Regents. As is the case for all Regents, his biography is publicly available online. Regarding companies in which Regents have a material interest, the rules only prohibit them from decision-making about those companies, not investing in them. There is nothing wrong with Regent Mendelson, or any other Regent, having an interest in companies that license UC technology, so long as this prohibition is followed." According to legal counsel within the University of California Office of the President, as a fourth branch of California's government, the Regents of the University of California are not bound by the Political Reform Act of 1974. Instead, the regents chose to voluntarily follow the act by devising their own ethics policies for the university. According to UCOP, the regents carry out oversight of the university and do not make decisions that materially benefit specific companies, therefore they rarely run into conflict-of-interest problems requiring them to recuse themselves from voting on matters like Newco.